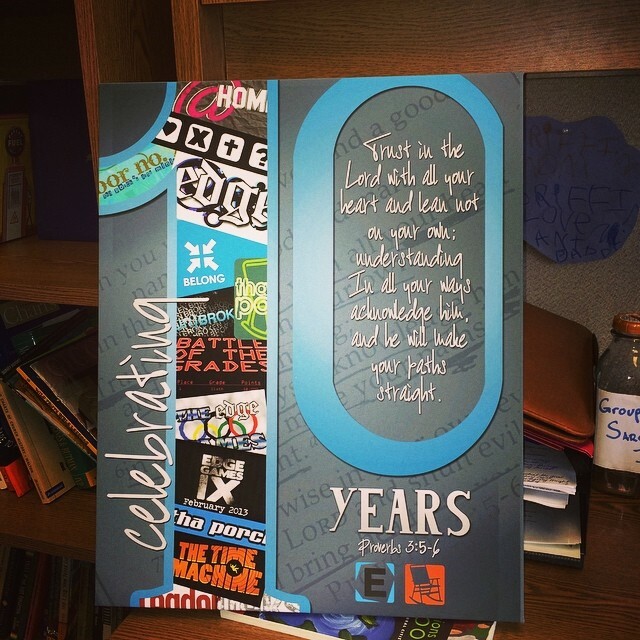 It’s hard to believe that it’s been 10 years already doing ministry with students. It does not really feel like it’s been that long, but certain things remind me that it’s been a while. I never would have dreamed that I would be hiring staff on my team that I had as a student in 7th grade (especially one I didn’t think would live to see 8th grade). There is also noticeably less hair on my head than 10 years ago (probably caused by that same 7th grade punk/now colleague). I am still learning, but one thing I do know is that youth ministry is hard so I can understand why so many youth workers just do not last. To be honest, there are days I have wanted to quit…but that’s usually when I am focused on the wrong things. But I do know that when I focus on the right things, God has done inconceivably more than I could ask or imagine. Here are 3! It’s About a Calling. Ministry is too hard to just see it as a job. It’s a calling from God. I sensed God’s call to youth ministry in high school, but that may have had more to do with how cool it sounded to get paid eat pizza, play dodge ball, and go on ski trips. The call became more clear about 2 years into actually doing the ministry. Someone in our church approached me and said, “It feels good, doesn’t it?” I said, “What feels good?” He said, “Doing exactly what God made you to do.” That was true. Don’t get me wrong, it doesn’t always feel warm and fuzzy. There are trouble kids that make you crazy, disappointed parents, all-nighters (not a fan), hurting families, dirty jobs, and so many reasons why youth pastors leave early. You know you are called when you face those challenging times and get up the next day wanting to keep going. God has put the gifts, passions, and personality in me to use me in this ministry. It’s not just a job, it’s a calling from God. It’s About the Gospel. If it were not for my utter dependence on the truth of Jesus Christ found in the storyline of the Bible, I would never last. As a matter of fact, I would have never started. I was not evening looking for Jesus, but He was looking for me. You see, I understand that the debt I owe because of my sin is too great for me to possibly pay back on my own, but God loved me so much that He gave me Jesus, to pay the debt of my sin so that I could be in the relationship with God that He created me for. Believing that truth takes me from death to life. As a youth pastor, I need Jesus more than the air I breathe, and so I preach it to students like there is no tomorrow. The Gospel keeps me going. Without it, I am just a glorified church babysitter to keep students busy and entertained. It’s About the Students. Since it’s all about the gospel, then it’s also about students knowing the gospel. To last, you need to love students. Students aren’t always likeable, but they can always be lovable. I have always tried to remember that Jesus thought each student was worth dying for. That’s love. Because I know the gospel, I try to see students not just for the mess that they are, but for who they can become in Christ. In 10 years, I have seen some pretty broken students do some amazing things for God because they grasped His love for them. It’s those stories that keep me going. There are probably other little secrets and practical tips, but so far it boils down to those 3 things. My ministry has really just begun. I am only scratching the surface of what God can do, and I hope that I always feel that way. God’s grace on my life is abundant to save me and even consider using me in ministry! Todd Iannetta is the student ministries pastor at Christ Community Chapel, a multi-site church in Northeast Ohio. Todd oversees the student ministry and staff across all four campuses. Visit his blog or follow him on twitter.